Hey guys, Skin Republic has been dropping some great affordable masks lately and I just thought that I should share with you some off the masks that I will be trying in the month of September. Skin Republic says the under eye patches help to target five eye-area agers which are the appearance of fine lines and wrinkles, loss of elasticity and firmness, puffiness, dark circles and dryness. 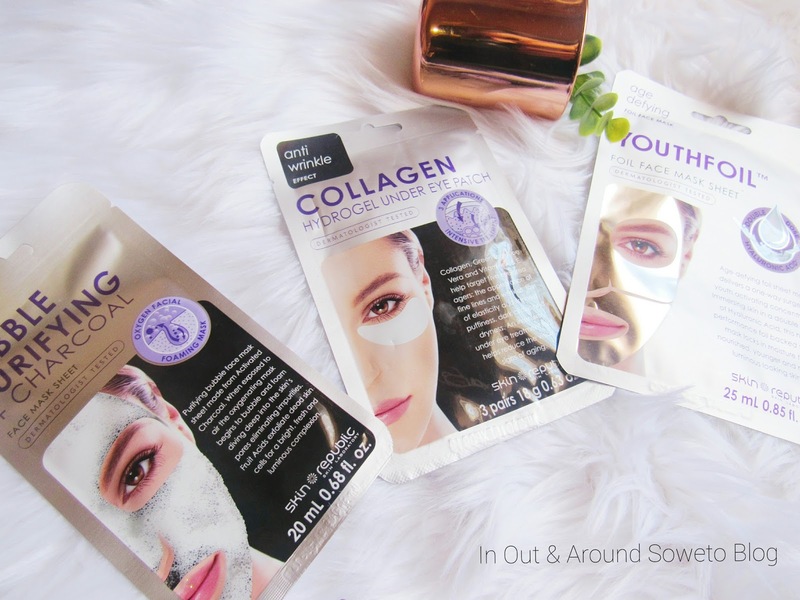 Skin Republic here says that the foil sheet mask contains a double dose of Hyaluronic acid and the foil helps o lock in moisture for nourished, younger and more luminous looking skin. This Skin Republic contains charcoal y'all... Skin Republic say the face mask is made from Activated Charcoal and when exposed to air the oxygenating mask begins to bubble and foam. The mask eliminates impurities, exfoliate dead skin cells for a bright, fresh and luminous complexion.